For those who grow up on the east coast of Australia, visiting the Gold Coast as a kid is almost a rite of passage. I holidayed on the Gold Coast twice during my childhood and then again on my first trip as an “adult” at age 19. Now many years on, I’ve been to the Gold Coast around a dozen times. I’ve visited for fun theme park weekends with friends, beach holidays and conferences. Every time I visit I discover a different dimension to this very popular destination. So with my recent visit to catch up with friends, I thought it was about time to write about all the wonderful things to do on the Gold Coast. But it’s not all about the theme parks, there are dozens more fun and interesting things to discover on the Gold Coast that I guarantee you’ll be wanting to return again and again like I have. Before I get into all the great things to do on the Gold Coast, you’ll need to work out where to stay. AccorHotels has perfect Gold Coast accommodation in both Surfers Paradise and Broadbeach. AccorHotels has a selection of hotels in the Gold Coast that are comfortable, well located and affordable. Now let’s get into all those wonderful things to do on the Gold Coast. Just about every first-time visitor to Australia wants to get the opportunity to see our unique wildlife. And you can do just that when on the Gold Coast at the Currumbin Wildlife Sanctuary. 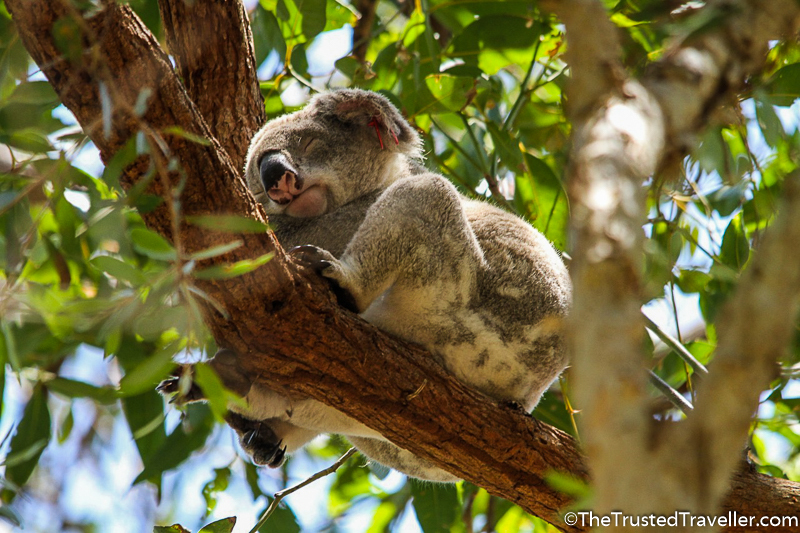 Feed the kangaroos, cuddle a koala and learn all about our slithery reptiles. There are bird shows, sheep shearings and Aboriginal performances throughout the day for you to get involved in. 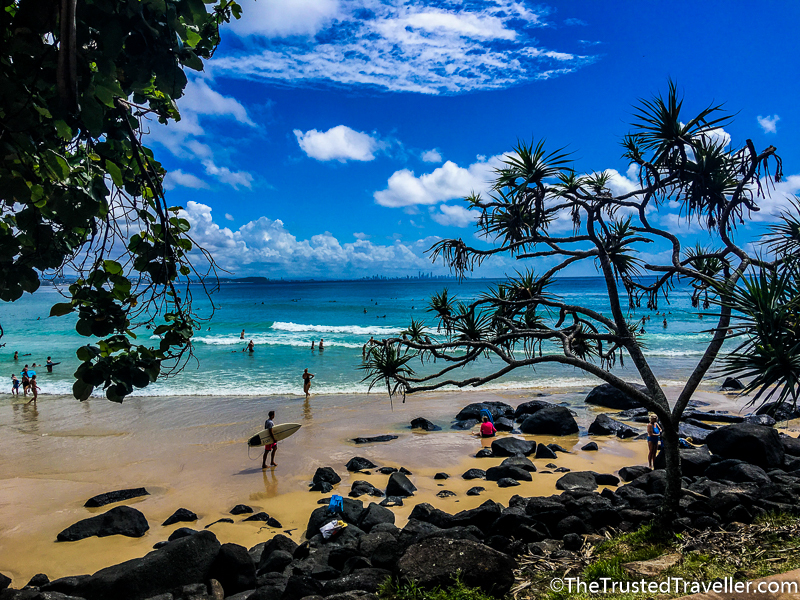 One of the Gold Coast’s best kept secrets I think is the Tullebudgera Creek in Palm Beach, south of Surfers Paradise. This sparkling creek is popular for swimming, fishing, picnicking, kayaking and snorkelling. With the latest stand up paddleboarding (SUP) craze, you can now join in at on the creek too. There is a hire shop right on the creek, so you can easily grab a board and give it a go for yourself. In the furthest southern reaches of the Gold Coast, right on the on QLD / NSW border is the twin towns of Coolangatta and Tweed Heads. Here you will find one of my favourite walks along the coast. 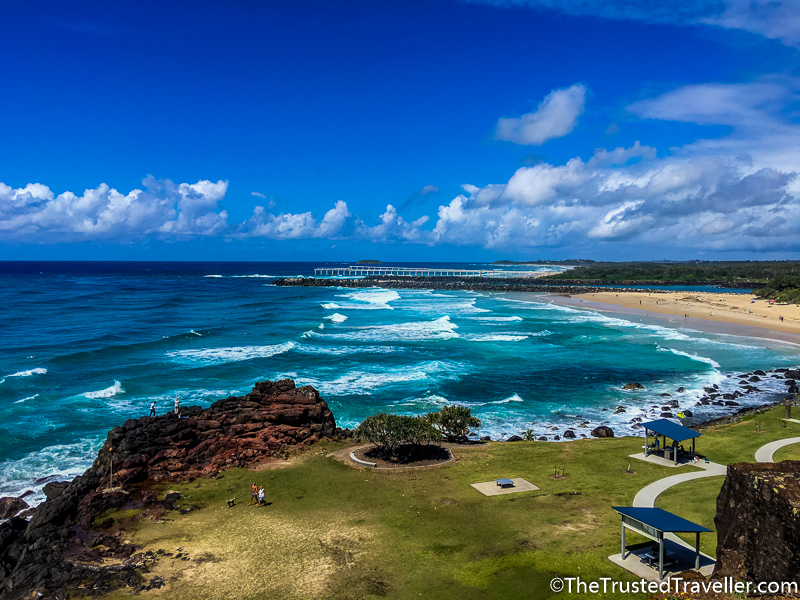 The walk takes you from the southern end of Coolangatta Beach out past the world-famous surfer spot, Snapper Rocks and over the boarder to the Point Danger Lookout which looks south down the NSW coast. Keep your eye out for lizards sunning themselves along the path. It doesn’t rain much on the Gold Coast, but when it does, Ripley’s is the perfect wet weather day activity for people of all ages. On a self-guided tour, you’ll discover relics and unusual treasures from around the world as you explore. Expect to learn, be dazzled by magic mystery and illusion and have lots of fun on the interactive games. You absolutely cannot go to the Gold Coast without visiting the beach. Whether it be for a day relaxing on the golden sand, a quick dip in the ocean or a walk to breath in the salty air, it is the one thing you cannot miss. 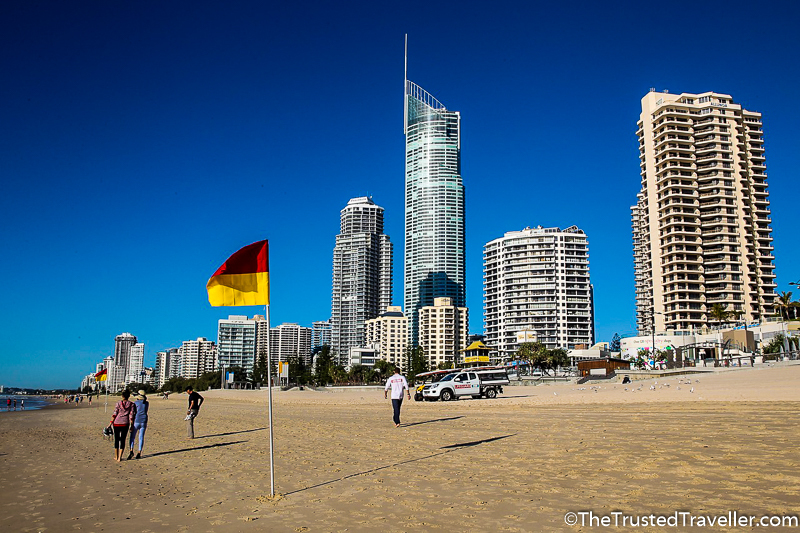 There are many great beaches to check out, the first and most obvious is the beach right at Surfers Paradise. But if you have time to get out and visit some of the others along the coast, you will be well rewarded with less crowds. Nobby’s, Burleigh and Kirra are three of my favourites. Another great national park, also just an hour from Surfers Paradise, is Lamington National Park. Again, it is part of the UNESCO World Heritage listed Gondwana Rainforests of Australia, but it’s also home to many rare bird species. If you only do one walk when visiting this national park, it must be the Tooloona Creek circuit. It takes 6-8 hours to complete and follows the creek as you pass eight waterfalls and some of the most stunning views you will find in this part of the world. There are of course, many other great walks in Lamington National Park for all fitness levels. 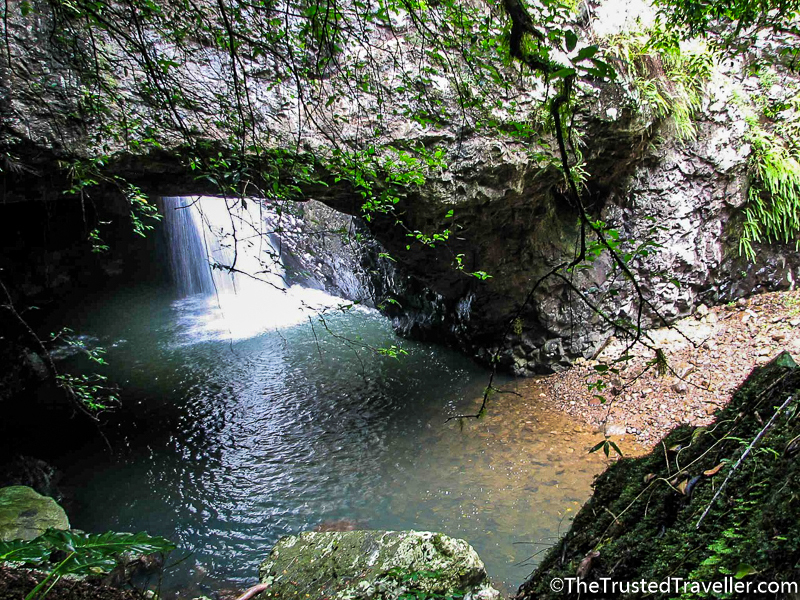 Less than an hour drive from Surfers Paradise is the stunning Springbrook National Park. Included in the UNESCO World Heritage listed Gondwana Rainforests of Australia, you’ll find lush rainforests with lots to keep you busy for a day. Don’t miss the Natural Bridge, a rock formation that was formed by a waterfall that eroded the basalt cave; the Purling Brook Falls which plummet 100m over a cliff; and the many walks that take you through the stunning rainforest. 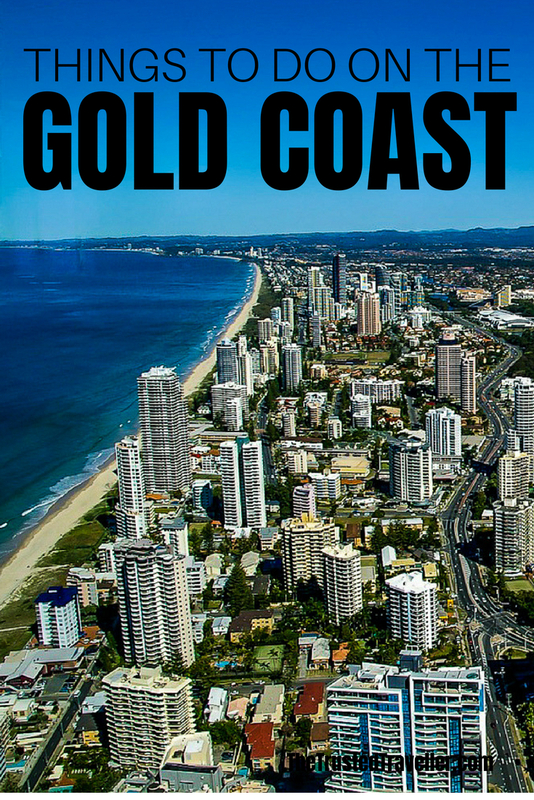 The Gold Coast has some excellent shopping opportunities, both for lovers of luxury and those who like a bargain. Pacific Fair (or Pac Fair as the locals call it) should be your first stop. It is a good place to pick up groceries and the like for a longer stay on the coast. Also, at Pac Fair you’ll find all your favourite brands from Australia and abroad, including luxury and street fashion to homewares and gifts. Harbour Town Shopping Centre is a bargain hunters dream. This outdoor outlet mall takes full advantage of the Gold Coast sunshine with alfresco dining and over 100 stores, so you can shop ‘til you drop with lots of great bargains to be had. 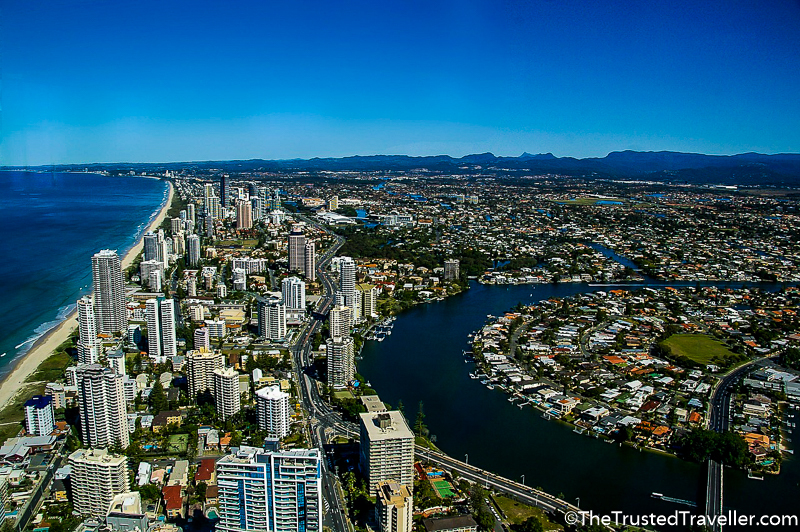 Located on level 77 of the Q1 building right in the heart of Surfers Paradise, this observation deck offers incredible views over the coast, out to the mountains and of the skyscrapers all around the Gold Coast. Take your visit to Skypoint one step further with the Skypoint Climb. Harnessed, you’ll head outside of the enclosed observation deck to walk up almost 300 steps to the summit of the tower. Walk right along the edge and look down the vertical 270 metre drop. So, you’ve visited the beautiful Gold Coast beaches but now you are looking for a different place for a swim without all the other tourists. Then you’ll want to check out the Currumbin Rock Pools. Relax on the grassed area after you’ve swam under the waterfall, slid down the rock slides and done a few laps of the massive rock pool. It is beautiful spot off the beaten tourist path. If you are visiting the Gold Coast for the first time, then a visit to at least one of the theme parks is a must do for young and old. 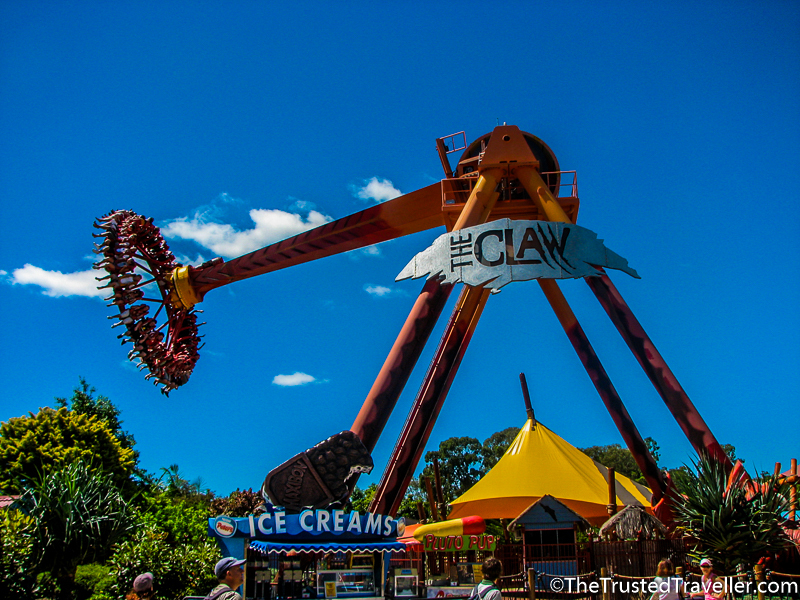 Dreamworld – home of the thrill rides for both the little ones and the big kids. Sea World – everything to do with the sea including water themed rides and the opportunity to get up close to water loving wildlife. Warner Brothers Movie World – Hollywood on the Gold Coast is there catch phrase and it certainly is with movie themed rides and attractions for all ages. Wet n Wild – the original Gold Coast water park with waterslides big and small. WhiteWater World – the newest Gold Coast theme park with cutting edge water-based attractions. Looking for a big of culture while on the Gold Coast? Then you should check out the Gold Coast Arts Centre, right in Surfers Paradise. Here you will find regularly changing arts exhibitions, theatre productions, comedy nights and movies you won’t find in the cinemas. For the latest information on what is showing at the Gold Coast Arts Centre, check out their website before your visit. 45 minutes west of Surfers Paradise is the beautiful and tranquil community of Tamborine Mountain. Located on a plateau, surrounded by rainforest, it feels a world away from the busyness of the Gold Coast. 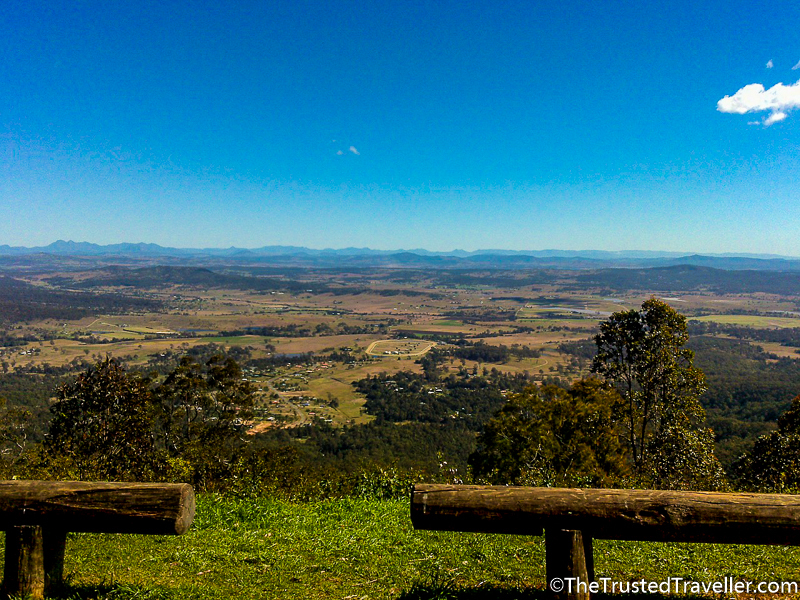 There is something for everyone on Tamborine Mountain and worth the effort to get there. Take a drive on the winding roads, browse the arts and crafts stores, have a bite to eat at the excellent cafes and restaurants, walk through the rainforest and up in the treetops at the Rainforest Skywalk and sip some award-winning wines at the wineries. On every Wednesday, Friday and Sunday night, the Surfers Paradise Beachfront Markets are a great place to find a bargain or hunt for some unusual souvenirs to take home with you. It’s a very chilled atmosphere at the markets with stunning beach views, tasty food and musical performances from local entertainers. 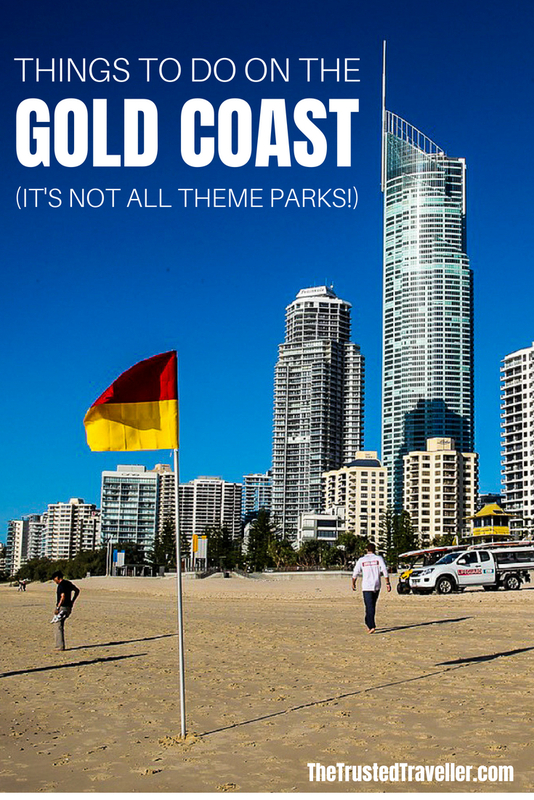 What of this list of things to do on the Gold Coast are you most keen to see and do?